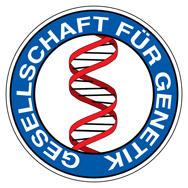 The German Genetics Society honors outstanding genticists with the Max-Delbrück Lecture, which is held on the occasion of the Annual Meetings. It is named after Max Delbrück (1906-1981), who is regarded as one of the founders of modern molecular genetics and in 1969 was awarded the Nobel Prize for Physiology or Medicine together with Alfred D. Hershey and Salvador E. Luria „for their discoveries concerning the replication mechanism and the genetic structure of viruses“. Bernhard Horsthemke: Imprinting disorders – what ave we learned from studying patients and what can we offer them?